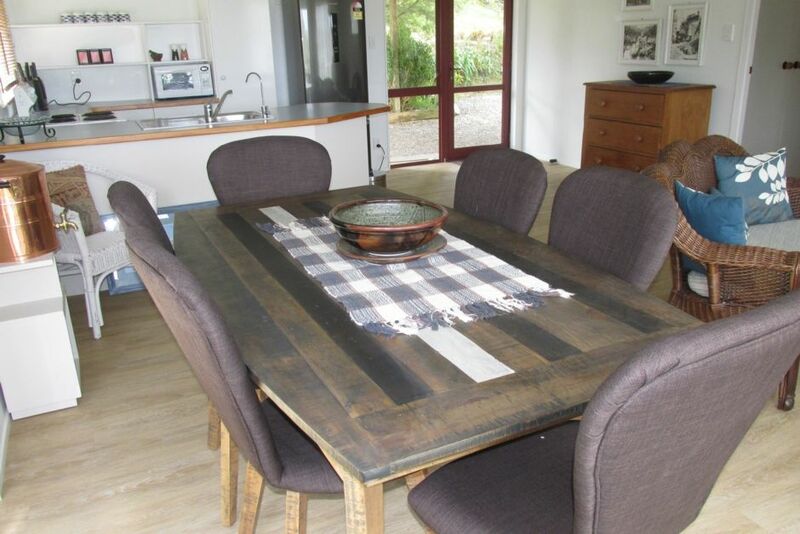 Matauwhi View is the perfect Kiwi bach for that summer holiday and will be the cause of a great holiday full of happiness. - or kick back and relax . Clean crisp interior with a fully equipped kitchen! Surrounded by green in a peaceful neighbourhood. A 10 minute walk to Russell township where you will find Russell beach and the wharf. Enjoy the sun or watch that spectacular sunset while relaxing on the deck, while that special someone is cooking a great BBQ. Holiday bliss. Fancy a lazy Sunday? Have that sleep in you have been dreaming about - Or perhaps take a gentle stroll into New Zealand's very first capital and enjoy brunch at one of our amazing waterfront cafes and restaurants. A fabulous getaway to make some great memories. Enjoy, and soak up the ambiance. Be prepared to stay - You definitely won't want to leave!! - visit the Glow Worm Caves in Kawakawa. - a fishing charter to catch fresh fish for dinner! -take a dip at one of our beautiful beaches - Longbeach, Tapeka or swim to the pontoon at Russell beach. - famous Christ Church, where bullet holes still remain from the Maori/Pakeha wars many years ago! - the Russell Museum tells the story of the development of Russell/Kororareka, from a small Maori fishing village, to a port of call for visiting ships and whalers to today’s tourist town. If you like the sound of a tour, just let us know as we are happy to book on your behalf. There is a king single in bedroom 3 with a roll away/ pulled out single bed. Walking tracks, Water activities, Fishing, Swimming it’s all in Russell.